Often times businesses and organizations have to run major computing tasks on a regular basis as part of their day-to-day operations. The only thing is these operations only need to be run on established intervals. Now we’re not talking about data backups here, but rather processing that needs to be done as part of normal business activities. For example, a financial institution may have to run specific calculations at regular periods during the week. Or a cell-phone provider wants to run multiple day-by-day billing reports at the start of the month to bill its clients for services rendered. 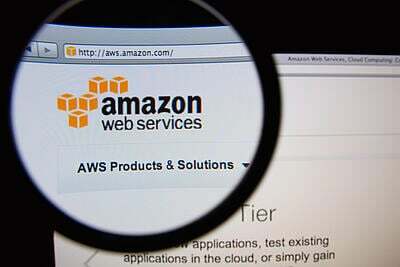 Recognizing that some businesses need regular, on-demand boosts in computing power, Amazon has released its newest option for the Amazon Web Services (AWS) EC 2, Scheduled Reserved Instances. For those using AWS EC2, Scheduled Reserved Instances allow the end users to reserve computing power and capacity on a recurring basis. These can be scheduled by day, week, or even on monthly intervals for up to one year. These instances only run during the dates and times specified, which means that users only have to pay for increased computing power when needed for specific tasks. Due to the fact that these are scheduled in advance, businesses can better calculate budgets as they will be able to see how much each instance will cost over the course of the predetermined length of time. Going through the EC2 Console, users can head over to the configuration setting named instances. Under the dropdown menu, they select Scheduled Instances. Before making a purchase, the user selects the schedule by which they want to run the instance. They can select the time zone, time, and dates and/or rates of occurrence. Once the schedule is set, AWS computes a cost based on how the Scheduled Reserved Instance is configured. Amazon will actually tell you how much the instance costs per hour or per year (a great tool to show the finance department or to use for planning out next year’s IT budget). Wait, Didn’t AWS Already Have This? The answer is yes and no. Standard Reserved Instances (formally known as Reserved Instance) allows users to reserve EC2 compute capacity for a term of 1 to 3 years, for use at any time. The new Scheduled Reserved Instance model allows users to reserve instances for preset blocks of time, on a recurring basis that is scheduled in advance for a period of up to one year. Compared to the original Reserved Instance, Scheduled Reserved Instances are only configured to compute during the times specified. With the original version, you could access the compute capacity on reserve at any time. With the new option, end users are able to save on computing costs as scheduled, on-demand instances are about 5 to 10% less expensive than regular on-demand AWS rates. We can help you get the most out of your Amazon Web Services cloud computing platform. Call us today to schedule an initial consultation.